The ivory-billed woodpecker is the largest of all woodpeckers in the United States and the third largest in the world. It was once thought to be extinct until a live male was seen in Arkansas in 2004. There is also a possible surviving population in Cuba. Adults can reach up to 20 inches tall and weigh about 20 ounces, and their wingspans reach about 30 inches. They are shiny blue-black in color with white markings on the neck and back. As its name suggests, the bill of the ivory-billed woodpecker is ivory in color. Males are easily recognizable because they have a crest that is black along the front edge and red on the side and rear. Ivory-billed woodpeckers were once found in a variety of habitats such as swamps and swine forests where large amounts of dead or decaying trees were present. Their enormous bills allowed them to hammer, wedge, and peel the bark off of dead trees to find food. Diet consists mainly of larvae of wood-boring beetles, seeds, fruit, and other insects. These birds are known to pair and mate for life and even travel together. Mating occurs between January and May, and the female gives birth to two to five eggs. Both parents help with incubating the eggs for three to five weeks, and the male is known to take over mainly at night. When the eggs hatch, both parents feed and continue to care for the young. This species was once found from the southeastern U.S. to Cuba, but much of its habitat has been lost to logging, mining, and the building of plantations. Conservationists continue to search for surviving specimens in the mountains of southern Cuba and in Arkansas and Florida. As of April of 2009, a $50,000 reward is being offered by the "Nature Conservancy" for information leading to the discovery of an ivory-billed woodpecker nest, roost or feeding site, and conservationists are already planning land acquisition and restoration efforts to protect any possible surviving woodpeckers. Do you think you may have seen an ivory-billed woodpecker? It may be a case of mistaken identity. You may have seen the pileated woodpecker which very closely resembles the ivory-billed woodpecker and has a much larger range. If you still believe you have seen an ivory-billed woodpecker, contact the Nature Conservancy. Copyright Notice: This article is licensed under the GNU Free Documentation License. It uses material from the Wikipedia article "Ivory-billed woodpecker". Glenn, C. R. 2006. 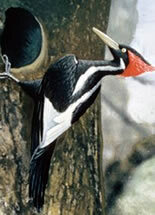 "Earth's Endangered Creatures - Ivory-billed Woodpecker Facts" (Online). 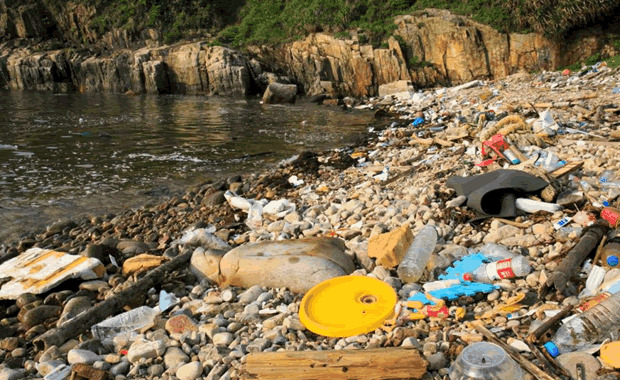 Accessed 4/18/2019 at http://earthsendangered.com/profile.asp?sp=939&ID=5. Need more Ivory-billed Woodpecker facts?